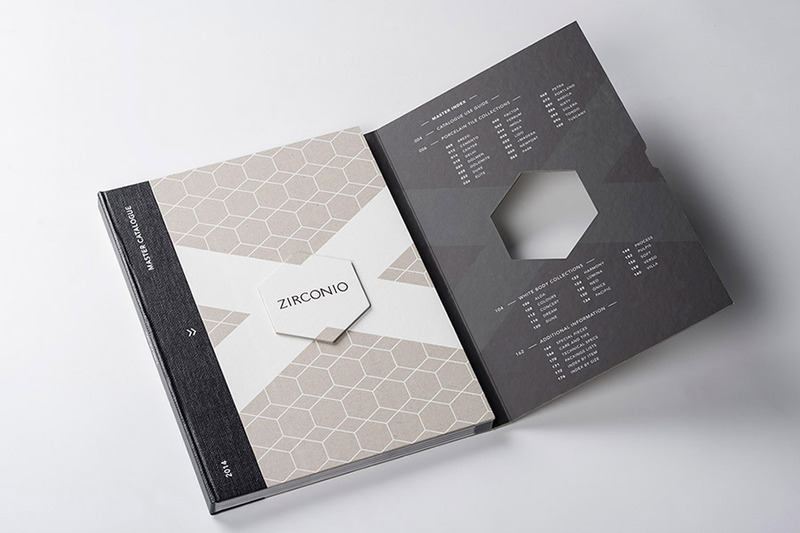 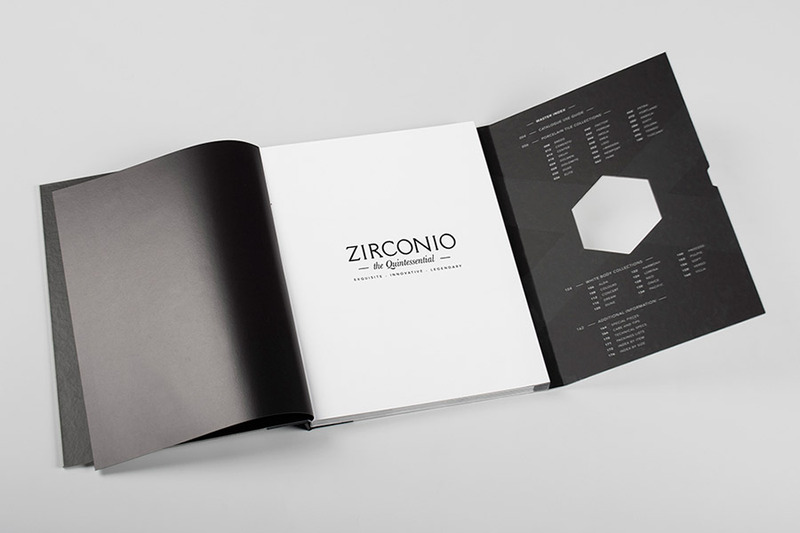 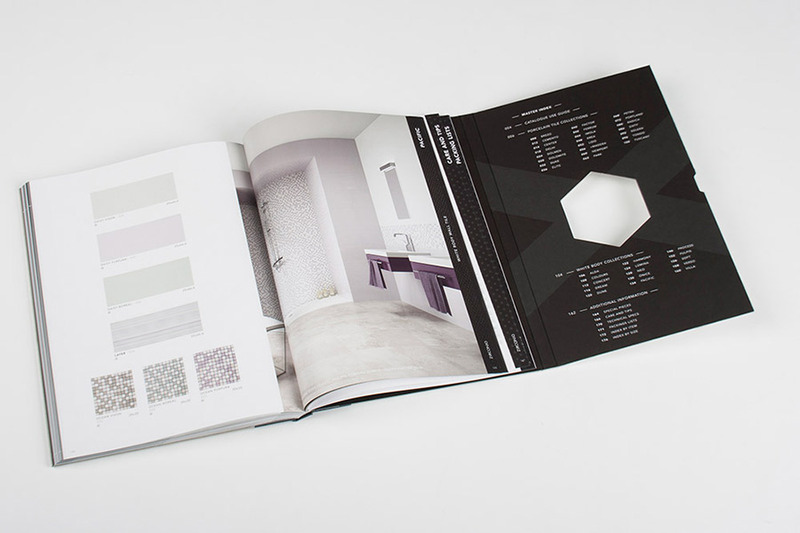 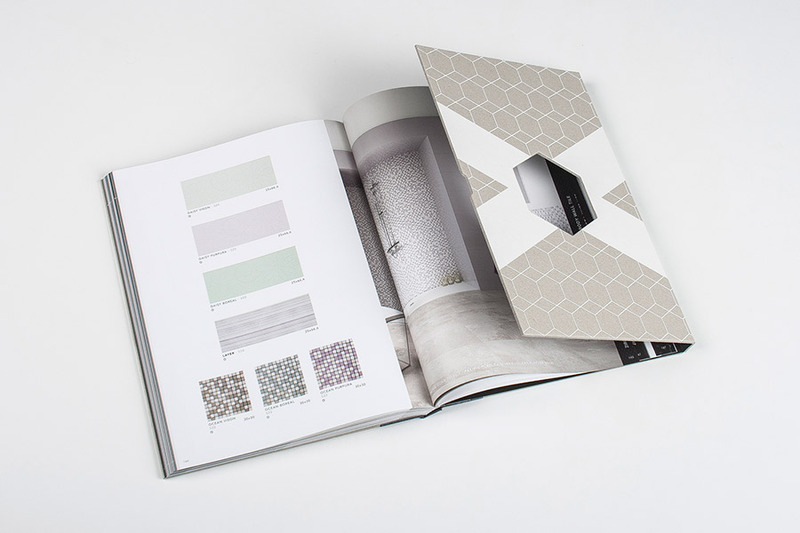 Since Zirconio was acquired by the Malaysian Niro Ceramic Group, they found the necessity to project a high standard brand value through a deep renewal on their brand applications, like catalogues. 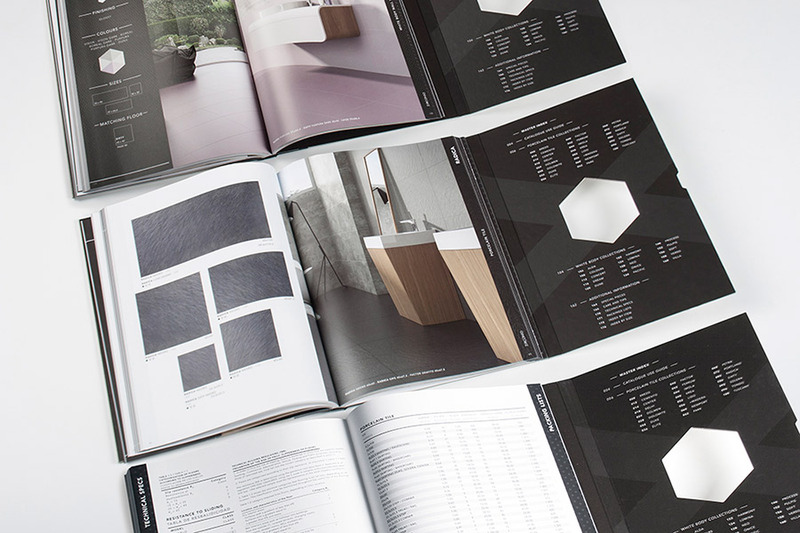 From this point, we decided to design something outstanding, leaving aside the usual catalogue layout and trying to find something more specific to increase the user experience and value perception. 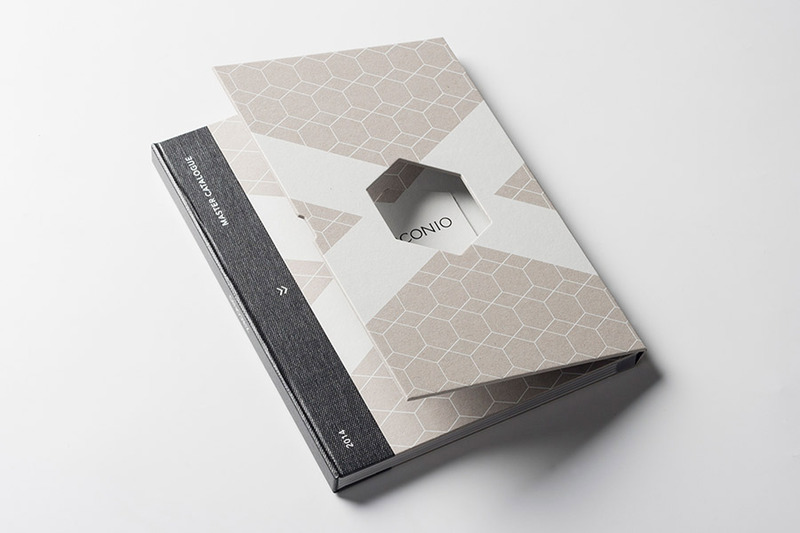 The cover is made out of printable recycled cardboard, composing a three body structure, and an hexagonal die on the right body. 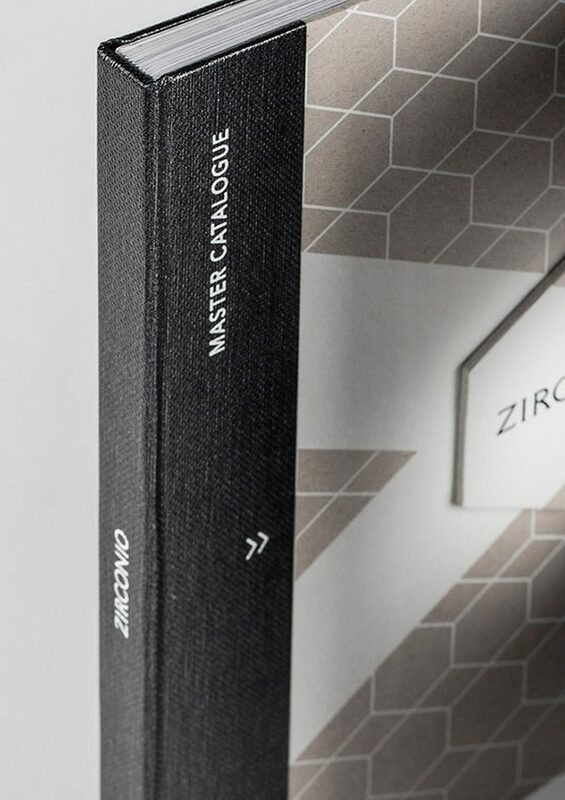 The main spine is lined with a metal effect lining vinyl. 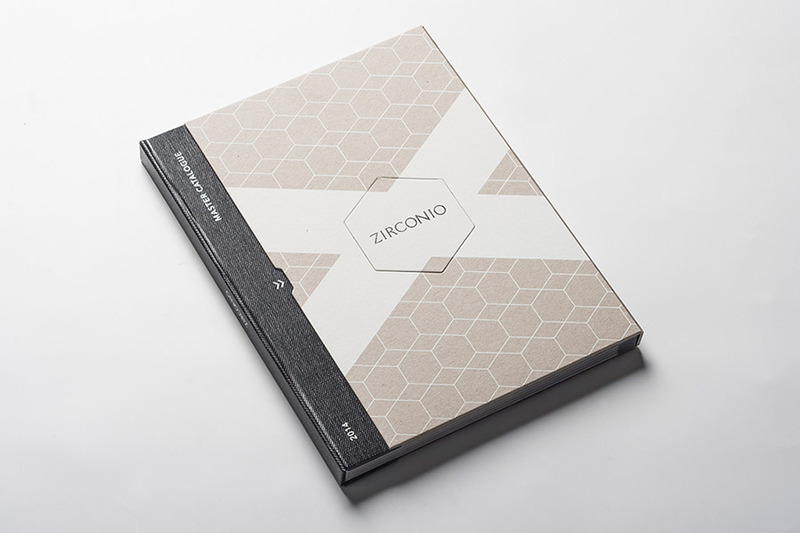 When the catalogue is closed, the die fit makes it compact and strong, and when it is open, it is a quick use reference tool for all their ceramic distributors which will find a hierarchical technical information and powerfull images that highlight the detail of Zirconio’s finishings and materials.